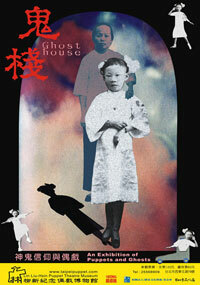 TAIPEI > ARTS & LEISURE > For the love of puppets! For the love of puppets! Photos by Lin Liu-Hsin Puppet Theatre Museum. Pinocchio, Punch and Judy, Pili...the world of puppets forms many childhood memories and is a shared heritage covering a multitude of cultures. While you may have thought they were just for children or an obscure dying art, you just might find that puppets, with their intricacies, charm and creativity, have a way of leaving you with a newfound respect and fondness for these storytellers of the world. Housed in an atmospheric historic building near DiHua Street, the magical Lin Liu Hsin Puppet Theatre Museum is home to one of the world's largest collections of Asian puppet theatre, including many valuable artifacts. The various creative exhibitions include Taiwnese Budaixi (glove puppets), which may enjoy a career more evolutionary than most. 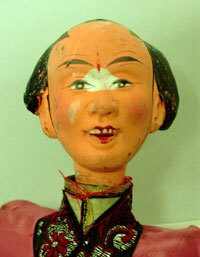 These puppets crossed from Fujian in the 17th century to flashy productions on Taiwan's silver screen. The museum celebrates the tradition of puppets in a larger context, through examples such as Chinese string, Cambodian shadow and Vietnamese water puppets, to name a few. New fascinating exhibitions explore topics like Humour in Puppetry, and Ghosts—the museum is creating a ghost house to prove that, even in the modern world, puppets can put fear into hearts of all ages! The affiliated Taiyuan Puppet Theatre has performed in over 20 countries worldwide and provides a stage for weekend performances, using traditional and modern puppeteering styles from around the globe. The Puppetry Art Center of Taipei is a good destination for school groups and children. Well-explained exhibitions include Taiwanese and world puppet favourites and plenty of hands-on events for the kids. Children will be enthralled with their current Black Light Exhibition, a form originating in Europe and highly popular in the Czech Republic. Using black backgrounds, as well as ultraviolet and luminous colours, Taiwan's only "black light" group has helped create an exhibition which offers plenty of visitor involvement! The shop has products from Taiwane's legendary Hsiao Hsi Yuan (traditional puppet theatre), and also TV's highly popular Pili Theatre group, who have taken the form to dizzying new heights! 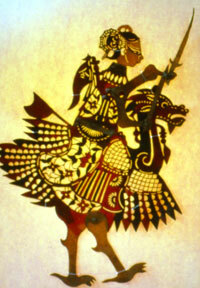 One of Taiwan's traditional budaixi legends. Check website for activities, events and news. Check out Taiwan Fun's 10/2006 article, "Cosplay - don't just watch your favourite TV puppets ... be them!"